Finalists in the prestigious CNN MultiChoice African Journalist 2016 Competition were announced today by Ferial Haffajee, Chair of the independent judging panel. This year, the competition received 1637 entries – a record number – from 38 countries across the continent, including French and Portuguese-speaking Africa. The independent judging panel, chaired by Ferial Haffajee, Chair of the Judging Panel & Editor-in-Chief, City Press, South Africa, includes: Debo Adesina, Editor-in-Chief, Guardian Newspapers, Nigeria; Jean-Paul Gérouard, Former Editor-in-Chief, France Télévisions; Eleni Giokos, Africa Correspondent, CNN; Fernando Gonçalves, Editor, Savana, Mozambique; Anton Harber, Editor-in-Chief, eNCA, South Africa; Joel Kibazo, Media & Public Affairs Consultant; Amadou Mahtar Ba, Co-Founder and Executive Chairman, AllAfrica Global Media; Wanja Njuguna, Senior Lecturer, Namibia University of Science & Technology & CNN Journalist of the year 2000; David Ohito, Digital Editor, The Standard Media Group, Kenya and José Sebastião Paulo, Professor of Journalism, University Agostinho Neto, Angola. The competition is once again supported by the following sponsors, who continue to lend their valuable support to the awards: African Development Bank, Dow, Ecobank, GE and IPP Media. The finalists will enjoy an all-expense paid four day programme of workshops, media forums and networking in Johannesburg, South Africa, culminating in a Gala Award Ceremony in October 2016. 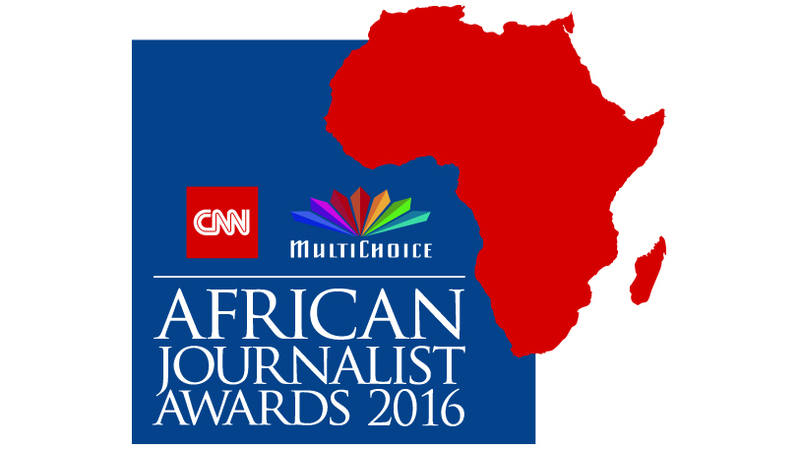 The CNN MultiChoice African Journalist 2016 competition is open to African professional journalists, whether directly employed or freelancers, working in the continent of Africa who have produced a story which has been made available as a printed publication or broadcast through an electronic medium (television; radio or digital platform) whose primary audience are based in Africa. Culture Award; Ecobank Economics & Business Award; Mohamed Amin Photographic Award; Environment Award; Press Freedom Award; The Maggie Eales Young Journalist Award; Health & Medical Award; Sport Reporting Award; News Impact Award; Francophone general news awards; Portuguese language general news awards; GE Energy & Infrastructure Award; Features Award; and Dow Technology & Innovation Award.